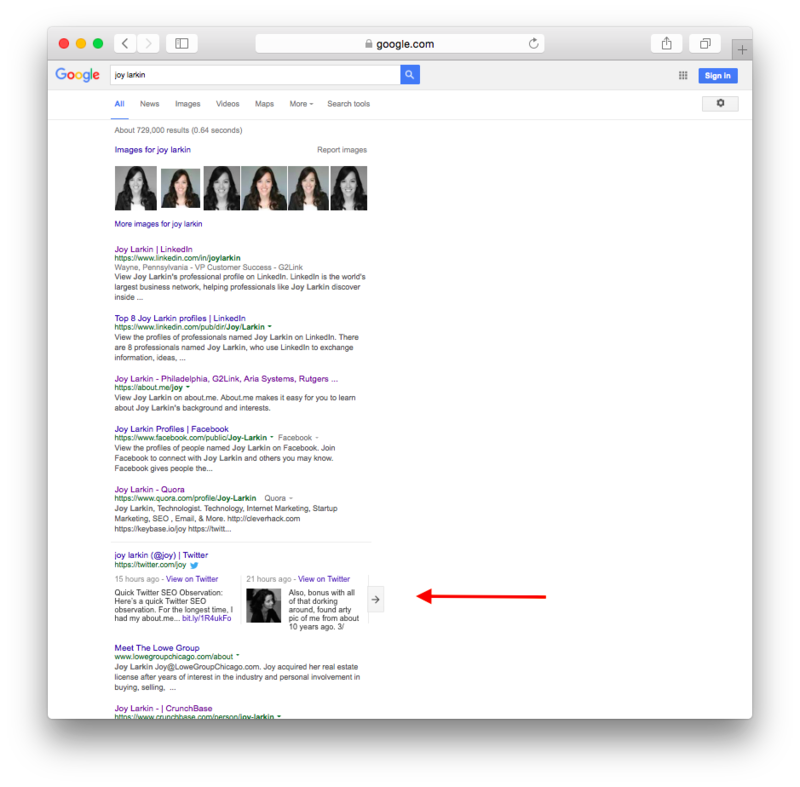 Posted below are two screenshots for the first page SERP for Joy Larkin. (Heh, see what I did there?). First screenshot is when I haven’t tweeted in a while and the second screenshot is approximately 48 hours later after some tweet activity. My Twitter account does have my name on it. 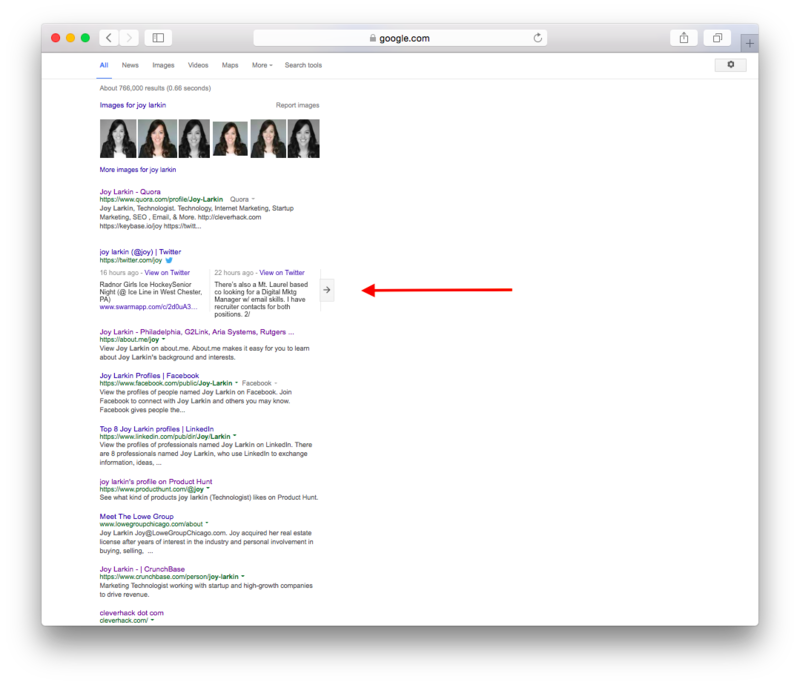 You can see that time and number of tweets do influence position on the search engine results page. This entry was posted on Saturday, February 6th, 2016 at 5:02 pm	and is filed under Web Marketing, SEO. You can follow any responses to this entry through the RSS 2.0 feed. You can skip to the end and leave a response. Pinging is currently not allowed.